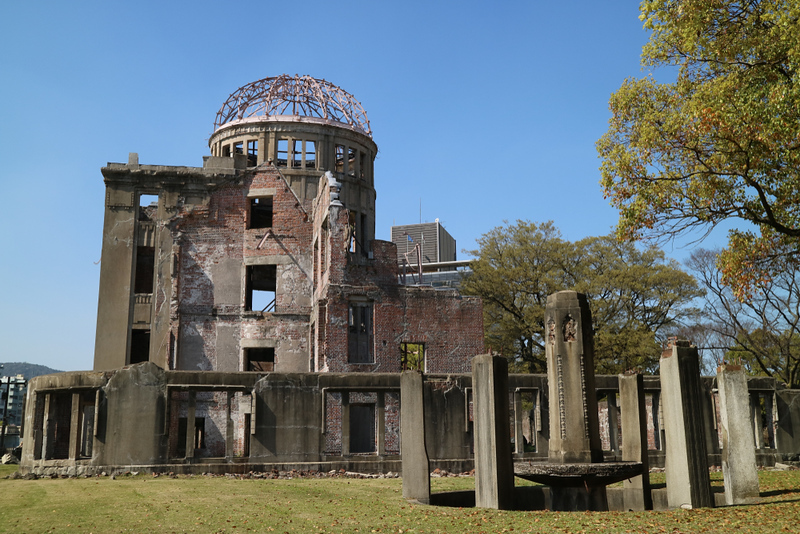 A visit to Hiroshima naturally focuses on memorials to the atomic bombing of 1945, but that’s not the end of the story. Nearby Miyajima is an island where the nature, temples and shrines will ease your mind after visiting Hiroshima. Here are all the details you need to plan a great trip. Hiroshima is a large mainland city in western Japan with a famous and tragic history. A short ferry ride away, the island of Miyajima is a stunningly beautiful island that is home to some lovely shrines and temples. Because they’re only 16km apart, Hiroshima and Miyajima are usually paired together in most people’s itineraries, and that makes good sense. For some ideas on how to do this, See my Hiroshima and Miyajima Itineraries page. For information on traveling around Hiroshima and moving between Hiroshima and Miyajima, see my Getting Around Hiroshima and Miyajima page. Below is my list of the best sights to see in each place. You can see these sights marked on our Hiroshima Google map. 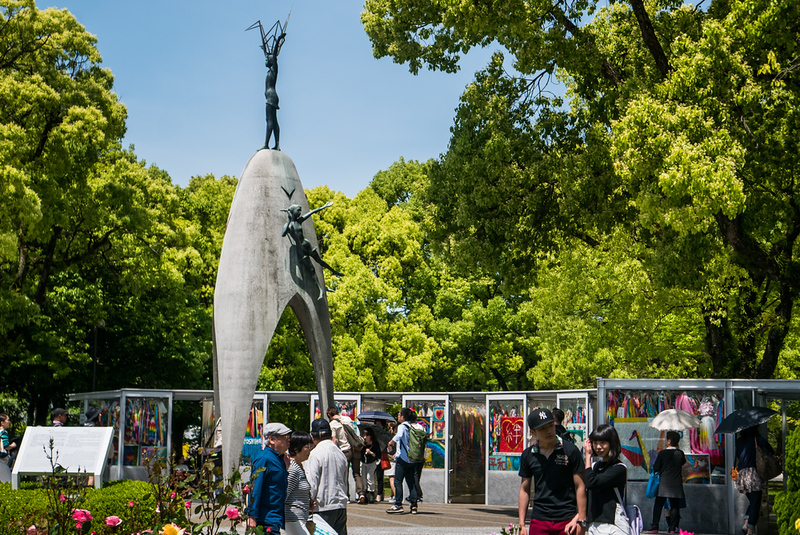 At the north end of an island formed by two of Hiroshima’s rivers (the Ota River and the Motoyasu River), the Hiroshima Peace Memorial Park is a pleasant green park containing the major memorials to the 1945 atomic bombing. 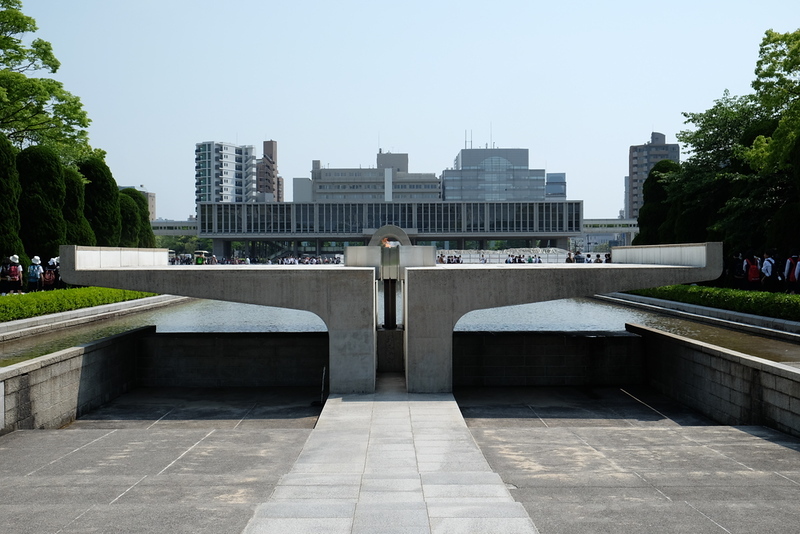 Most people arrive by crossing the Motoyasu-bashi Bridge, which brings you quickly to the reflecting pool and the Cenotaph for A-Bomb Victims (see below for details). Further south you will find the Hiroshima Peace Memorial Museum (see below for details). The other important sights in this park are all listed below as well. 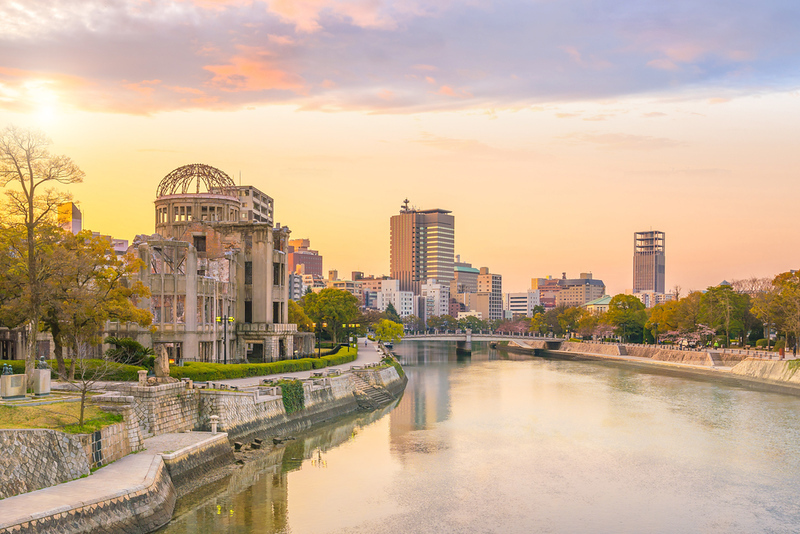 The most important sight in Hiroshima, the Hiroshima Peace Memorial Museum is a must-see for those who want to understand the horrors of the atomic bombing and the events that led to it and took place after it. There is no doubt: This is a searing and difficult museum to visit. If you’re traveling with children, think carefully about whether or not they are mature enough to visit this museum. It’s not that the exhibits are excessively gory – it’s more the weight of human suffering caused by the bombing that makes the deepest impression. There are extensive English explanations. Finally, I should point out that this museum is often visited by crowds of Japanese schoolchildren, many of whom behave in a rowdy manner that is entirely inappropriate for such a place. This can distract from a visit but it cannot be helped. 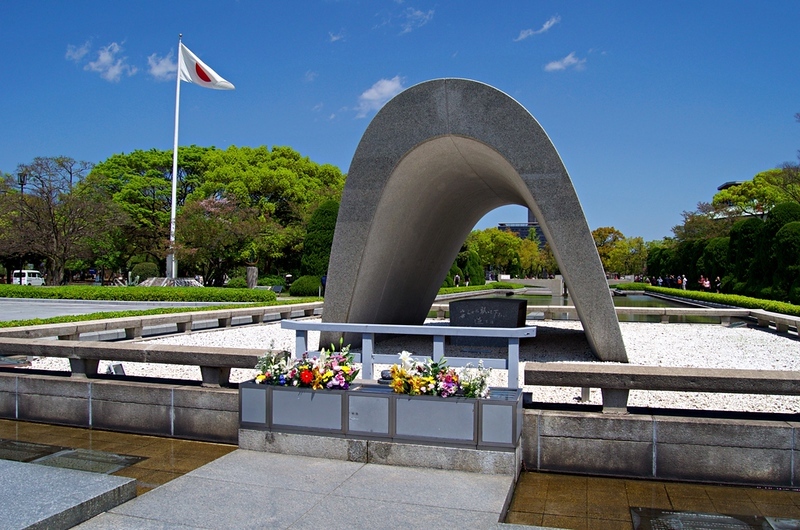 This concrete saddle-shaped monument in the center of the park is designed to symbolize a shelter for all the souls who perished in the atomic bombing. The monument bears an inscription that reads: “Rest in peace, for (they or we) shall not repeat the error.” Japanese grammar allows sentences to be constructed without clearly stated subjects, so the sentence is inherently ambiguous. However you read it, one message is clear: Atomic weapons must not be used again. 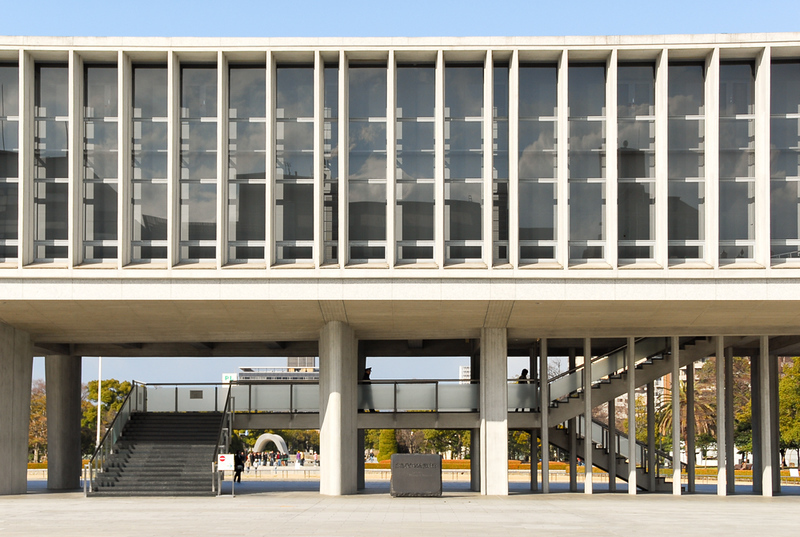 You’ve probably already seen hundreds of photos of this building, which serves as a kind of visual icon of Hiroshima. The building is the remains of the Hiroshima Prefectural Industrial Promotion Hall, which was located near the hypocenter of the bomb. Most of the building miraculously survived the bombing and has been left standing as a striking memorial to the bombing. It’s located across the river from the Peace Memorial Park, on the east bank of the Motoyasu-gawa River. Perhaps the most touching monument in the Peace Park is the Children’s Peace Monument. The memorial consists of a statue of a child with her arms outstretched to the sky, with a crane above her. The monument is based on the story of a girl, Sasaki Sadako, who was stricken with radiation sickness after the bombing. She attempted to fold 1,000 origami cranes in hopes of getting well (it is believed in Japan that if one successfully folds 1,000 origami cranes, their wish will come true). Sadly, she passed away just shy of her goal. In memory of her, people from around the world have folded strings of origami cranes and they are offered all around this monument. 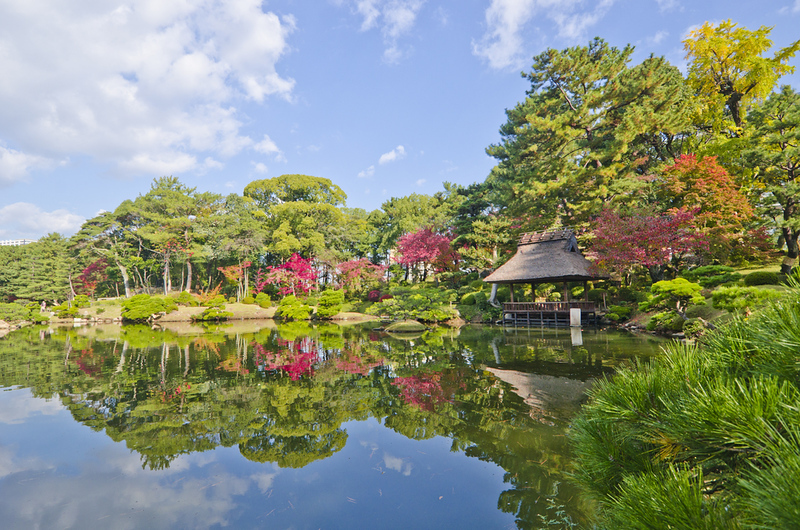 Located northeast of Downtown Hiroshima, not far from Hiroshima Station, Shukkei-en Garden is a fine stroll garden that dates back to the early Edo Period (around 1620). There’s a lovely pond in the garden and it is a fine place for a stroll and a pleasant counterpoint to the searing memorials of the Peace Park. 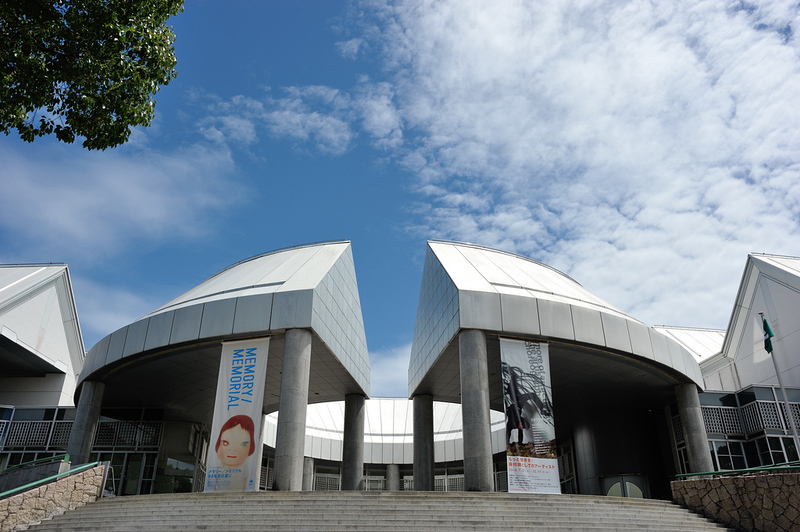 Located in a park about 1km south of Hiroshima Station, this modern art museum holds some surprisingly interesting shows. Check the museum’s English website to see what’s on before making the trip there. The central Shinto shrine on Miyajima, Itsukushima-jinja Shrine, is best known for its “floating torii” (shrine gate). This gate appears in countless photographs of Miyajima and has also come to be a symbol of the entire country of Japan. Said to date back to the 6th century, the present gate is based on one built in the 12th century by an early warlord. 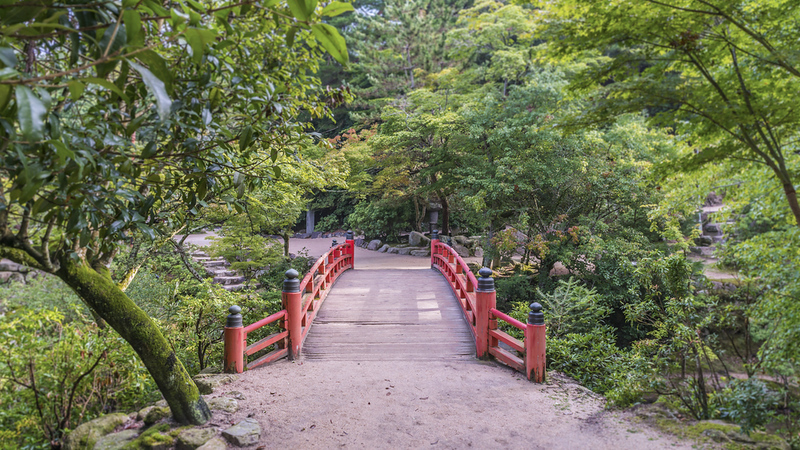 The reason for a floating torii is that the entire island was considered sacred and the gate served as a symbolic gateway to the island itself. Note that at low tide the gate will be surrounded by mud – in order to get the classic shot of the gate actually “floating,” you’ll need to be there around high tide. Located about 500m south of the pier, the superb Buddhist temple of Daisho-in overlooks the main village of Miyajima. 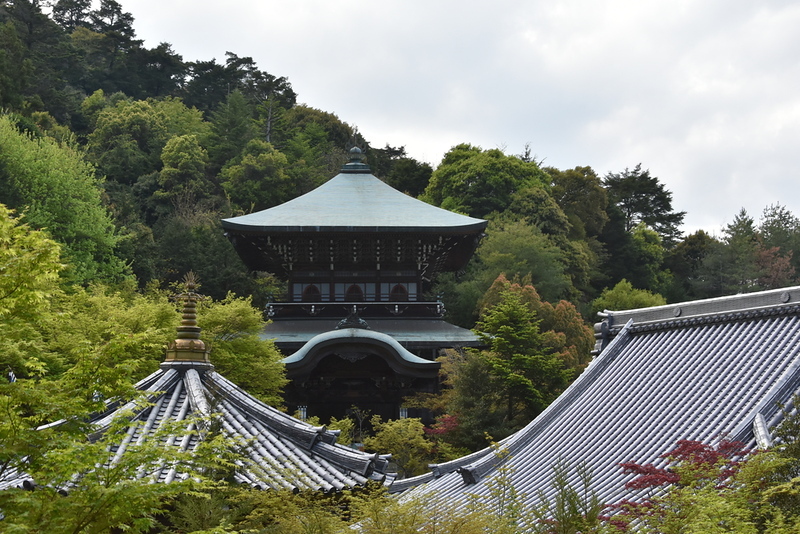 This is a Shingon, or Esoteric Buddhist, temple, so it’s filled with the entire range of Buddhist images. Take your time to explore all the halls here and admire all the images. On a hill behind Itsukushima-jinja, this pleasant park is named for the superb maple trees that burst into fiery reds and yellows in the October/November fall foliage season. It is connected to Daisho-in by a lovely walking path (look for the signs). The main peak of Miyajima Island is 535m Mount Misen, the summit of which is about 2km southwest of the village. 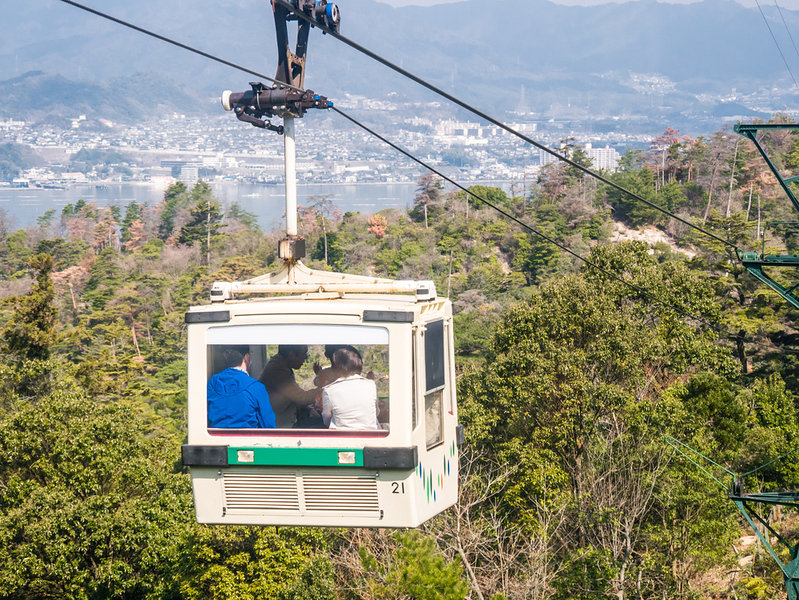 The Miyajima ropeway (see below) gets you most of the way to the top. 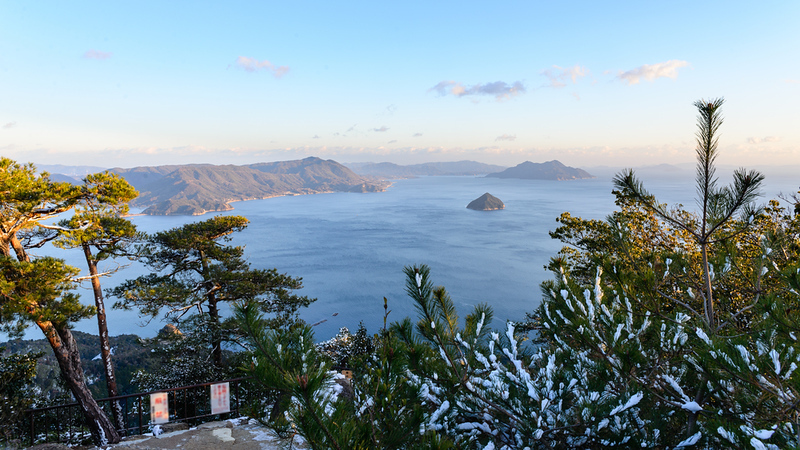 From the top station of the ropeway, it’s a 30-minute walk to the summit. Near the summit, there are some small temples and shrines.